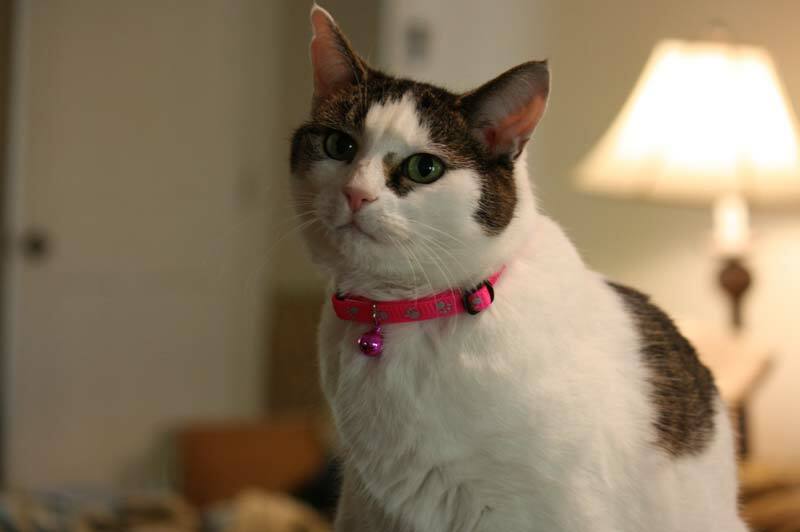 This cat collar is noisy and reflective, designed with safety in mind. A breakaway buckle releases if entangled in bushes, fences, trees, etc. 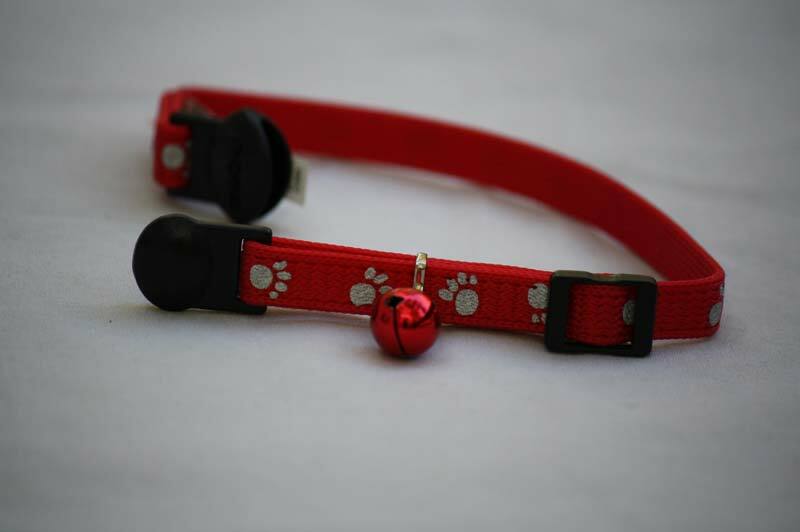 The jingling bell helps protects birds and other small animals. 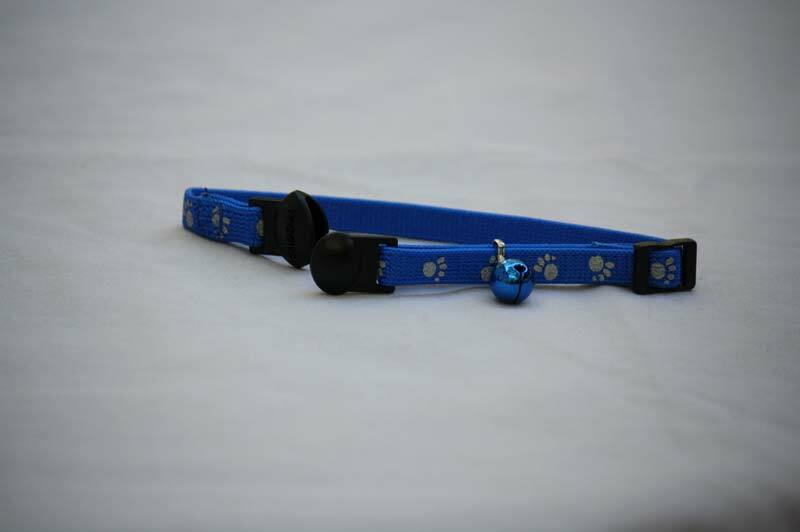 Cat collar comes in pink, blue, and red!